West Bengal Chief Minister Mamata Banerjee on Wednesday attacked Prime Minister Narendra Modi describing him as "Expiry Babu". This came hours after PM Modi called her "speedbreaker". 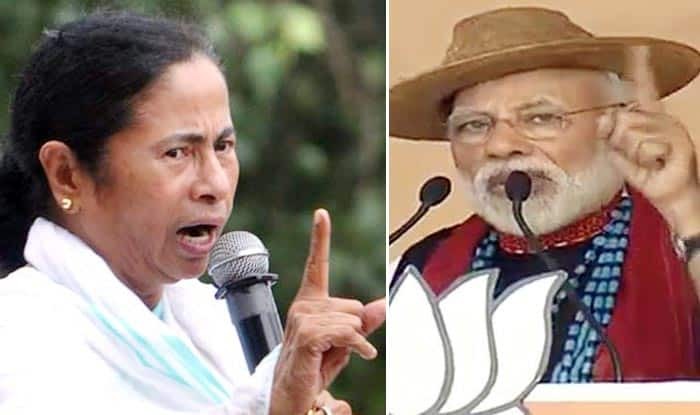 New Delhi: Hours after Narendra Modi termed Mamata Banerjee as a “speedbreaker” in the path of development of West Bengal, the TMC supremo strongly contested the allegation by the Prime Minister and described him as “expiry babu”. Taking on the Prime Minister’s claim, Mamata Banerjee said that her government in West Bengal has done a lot for the welfare of the people of the state. While addressing a public rally in Cooch Behar district, the Chief Minsiter asserted that the income of farmers in Bengal has increased three times under her rule. Earlier in the day, PM Modi took potshots at the TMC supremo while insisting that she had to ensure speedy development of Bengal like rest of the country. “I have not been able to ensure development of Bengal in the same speed as in the rest of the country. “The reason for this is that in Bengal there is a speedbreaker, and this speedbreaker is known as Didi,” PM Modi said attacking Mamata Banerjee, who is fondly called “Didi” (elder sister). PM Modi also took a dig at the Congress over its manifesto that talks about reviewing some clauses of the Armed Forces Special Powers Act (AFSPA), saying it acts like a “shield” for the security forces in the fight against terrorists and make the soldiers vulnerable.